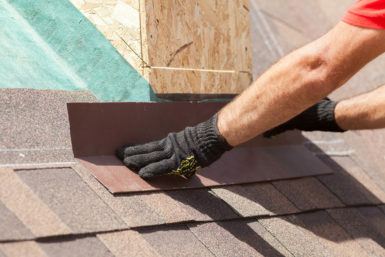 If you are searching roofing contractors for one that can repair or replace the roof on your home in the Granite City, Illinois area, make the wise choice and partner with Daech & Bauer Roofing. Customer satisfaction is always our No. 1 goal, and our passion for our work is reflected in the quality of craftsmanship we provide. Another factor that helps Daech & Bauer stand out from other roofing contractors in the area is our commitment to providing a complete roofing system. This three-level process is designed to prevent water intrusion that can lead to mold and mildew, ensure that your roof will withstand high winds and severe weather, and provide sufficient attic ventilation to slow roof deterioration and help manage the temperatures in your home. If you would like to schedule a free consultation at your home in the Granite City, IL area, contact the experienced roofing contractors at Daech & Bauer Roofing today. Be sure to ask about the financing options we offer to those who qualify.